The $2.7 million student-funded facility includes individual changing rooms and private showers and bathrooms. The University of California, Berkeley has opened a 4,500-square-foot gender-inclusive locker room to better accommodate the needs of transgender and non-binary students, as well as those with disabilities and students seeking additional privacy. The new facility, which debuted Wednesday, is thought to be the first of its kind in California and one of only a few across the country, according to a statement shared by the university. The $2.7 million student-funded “universal locker room” is part of the campus’ Recreational Sports Facility and is optional — no one will be mandated to use this new locker room. The facility includes 400 lockers, 16 individual changing rooms, seven private showers and five private toilets. Brigitte Lossing, the interim associate director of the sports facility, said this latest move is intended to “remove barriers to fitness and wellness” at the university. 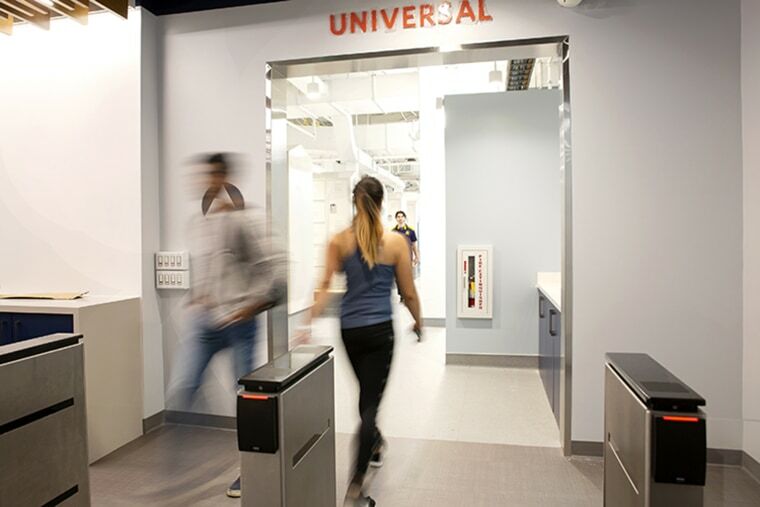 In addition to being gender-inclusive, Berkeley said the new locker room was built with accessibility in mind and meets Americans With Disabilities Act (ADA) standards. Ben Perez, a Berkeley alumnus and manager of the university’s Campus Access Services, said the fact that the university prioritized accessibility “without a mandate, but with intention” is especially important. Perez recalled his freshman year at Berkeley over a decade ago and the discomfort he felt sharing a bathroom and showers with 25 other students. The new “universal locker room” is being paid for by the student body, according to Berkeley. Following a 2015 student vote, an annual $146 fee is being imposed on students as part of a Wellness Fund, which will pay for the new facility. Equality California, the state's largest LGBTQ-rights organization, applauded the new facility. "All students should feel safe and welcome on campus, and we're excited to see UC Berkeley take this groundbreaking step forward," the organization's executive director, Rick Zbur, told NBC News via email. "Protecting students' privacy and removing barriers to participation because of gender identity or ability isn't just possible — it's common sense."